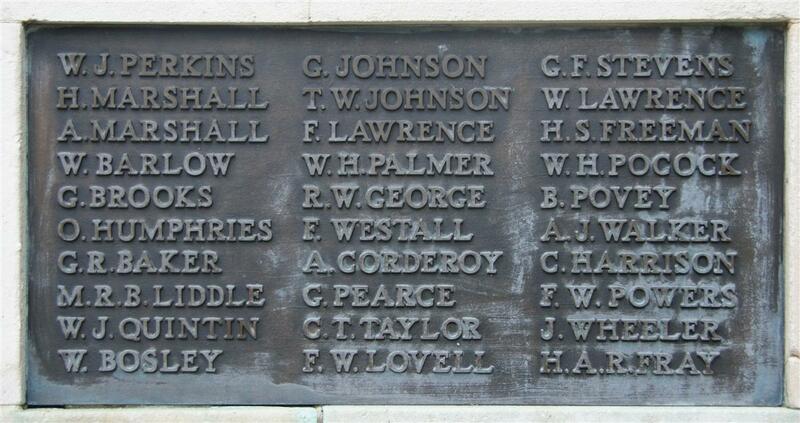 The name F Westall appears on Panels 5 and 11 of the Newbury Town War Memorial. It also appears on community memorials in Thatcham, Thatcham church and Shaw. The Commonwealth War Graves Commision (CWGC) roll of honour has only three F Westalls, but which of these are the two on the Newbury Memorial? It is not difficult to identify one of these as Frank Westall, son of Edith Westall, who lived at 32 Shaw Crescent. The proximity to Shaw suggests that this is also the F Westall on the Shaw memorial. Frank served with the 1st Battalion, Royal Berkshire Regiment and was wounded and captured at the Battle of Loos dying a few weeks later. Frank is also believed to be the F Westall on the Thatcham memorials. 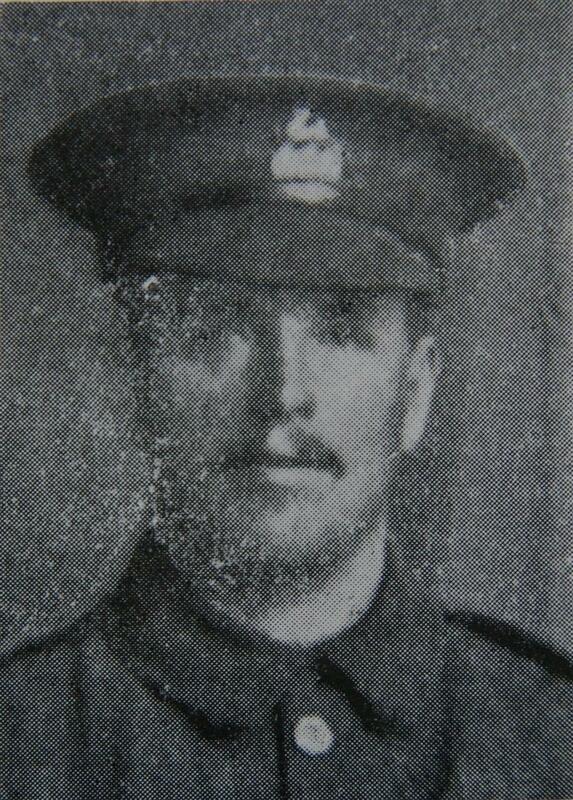 So far the second instance of F Westall on the Newbury memorial has proved impossible to identify conclusively. One of the remaining two F Westalls on the CWGC roll of honour is Rifleman R/39072 Frank Westall, 9th Battalion King's Royal Rifle Corps who was born in Lewes, Sussex and was living in Didsbury, Manchester when he enlisted. He died in March 1918, but seems unlikely to be on a local memorial. This leaves Private 12829 Frederick Westall, 6th Battalion Royal Berkshire Regiment, who was killed in action 27 August 1915 (a month and a day after landing in France). Frederick lived at 5 Elm Court, Coley Passage, Reading and has no obvious family connection to Newbury. Indeed, his closest asssociation with Newbury is through his death, for he died along with two Newburians, James Smith and Thomas Skurray when a mortar round landed by their battalion HQ near Mametz in August 1915. The three bodies were buried together. 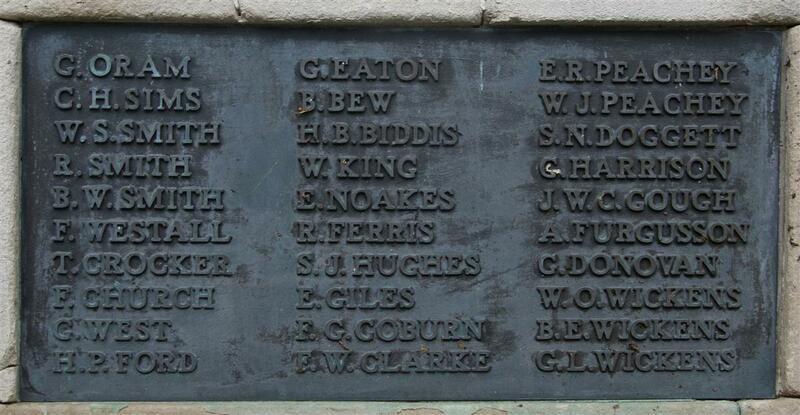 Could the family of one of his companions in death put forward his name for inclusion on the Newbury memorial? Frank Varney Westall from Newbury. One of many F Westalls from the area he was wounded but survived the war. The problem is that there were a dozen or more F Westalls born in the late 19th century in Reading and West Berkshire - any one of whom could be the name on the memorial. Possibly it is a Frederick, Frank or Francis who has been overlooked by the CWGC; there are several among the names on the Newbury memorial who have been missed from the national roll of honour. If it is the Frederick they list there are seven to choose from among local births. The publication Soldiers who died in the Great War states that the deceased Frederick Westall was born in Reading, suggesting he might be Frederick George Westall, whose birth was registered in Reading in 1897. This Frederick was a little young to be dying in France in 1915 (he would only just have turned eighteen), but it is possible. Even if he was born in Reading it is still possible that he moved to Newbury and hence became eligible for inclusion on the memorial. In short, there is no way of determining for certain which F Westall is the second of this name to be commemorated on the Newbury Memorial. Indeed it is also possible that the second entry is a simple mistake, the same man being commemorated twice in error.